Can we go out soon? We are now properly into year two of our dairy. On Sunday 18th February our dairy and shop were one year old. We celebrated our birthday with a small event with cheese and yogurt tasting. We had lots of names suggested for some of our calves and heifers and had entrants for our prize draw. The winners have been drawn and notified about their prizes. 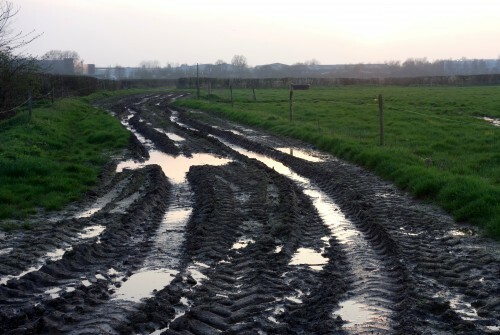 You will have noticed that it has been very wet recently! Water has bubbling up out of the road drains rather than going down into them. Our poor girls are still under cover in their winter barn and must be wondering when they will be going out into the fields. They are normally out before the end of March, but the Essex clay is too soggy for them at the moment. 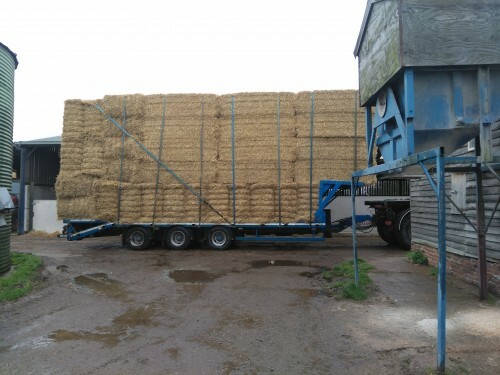 They are well looked after and warm on their straw bed but, despite carting tonnes last year, we have run out of straw and are having to buy in more to keep them comfy. 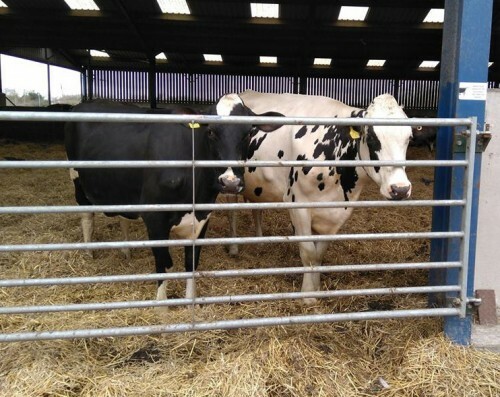 This isn’t helped by the fact that a lot of farmers are in the same position of still having livestock indoors and this has created a shortage of straw and high prices. We are due some better weather and when they do go out they will be joyous and we will take some photos and a video clip or two to show you. Farmer Nick and Sarah are frustrated by the weather as it prevents proper field work being done. We should be getting ready for cutting silage now, but the dung from the yards has to be carted first and it is far to wet for that at the moment. On the upside, with all this water in the ground, a bit of sun should see the crops shoot up quickly. This week we held our first guided tour and cheese tasting group. Booked some months ago we thought we would be able to host in the cow shed but, with the girls still in, we had to create a new venue or cancel. So we have been working on the old granary barn that is between the driveways at the farm entrance. It has been cleared out and given a good clean inside. We hadn’t planned to use this, but it is a lovely timber framed building that dates back about 500 years, so well worth utilising it and having people see it. The lovely group from U3A (University of the Third Age) in Leigh-on-Sea visited on Tuesday. 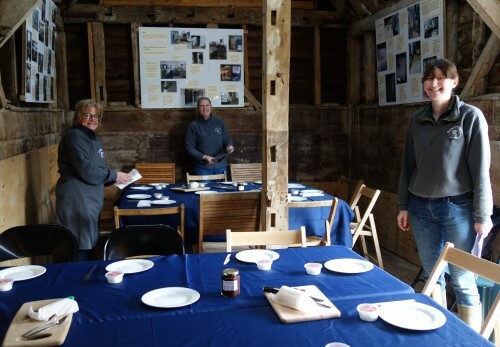 We hosted the group in the freshly cleared out granary barn where we held a talk and (after a look at the cows and round the dairy) some cheese tastings. The group enjoyed their visit and we would like to do more of this. 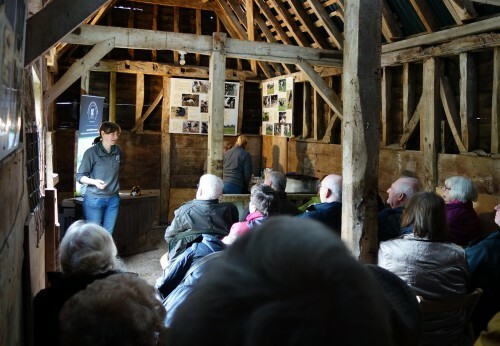 As a working farm there is a limit to how many people can visit us and how much time we can devote, but we will hosting more groups who are visiting the Farm. In the dairy we now have put a small first batch of strained natural yogurt on sale. We really appreciated the feedback of our yogurt tasters who helped us decide which type of yogurt to go for. We hope that you like it. There is fruit yogurt on the way too. We are starting with strawberry, red cherry and lemon curd, but we have had some other suggestions too – some making use of native fruit species such as bramble, so there may be more on the way. We will see how you like them!